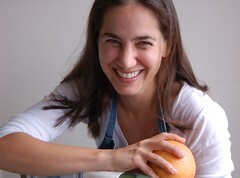 Eve's work has been featured in Hudson Valley Magazine, WBUR's Public Radio Kitchen, Civil Eats, EcoCentric, Edible East Bay, Foodista, Berkeleyside, Eating Liberally, Cook, Eat, Share, Yummly, The Sister Project, The Bay Citizen, and Urban Spoon. She is also a regular contributor to Punk Domestics, Care2's Healthy Living section, The Christian Science Monitor, and the Hudson Valley Food Network. Feel free to share your comments, suggestions and questions here.